Stunning dice to use with any game that calls for a d6! 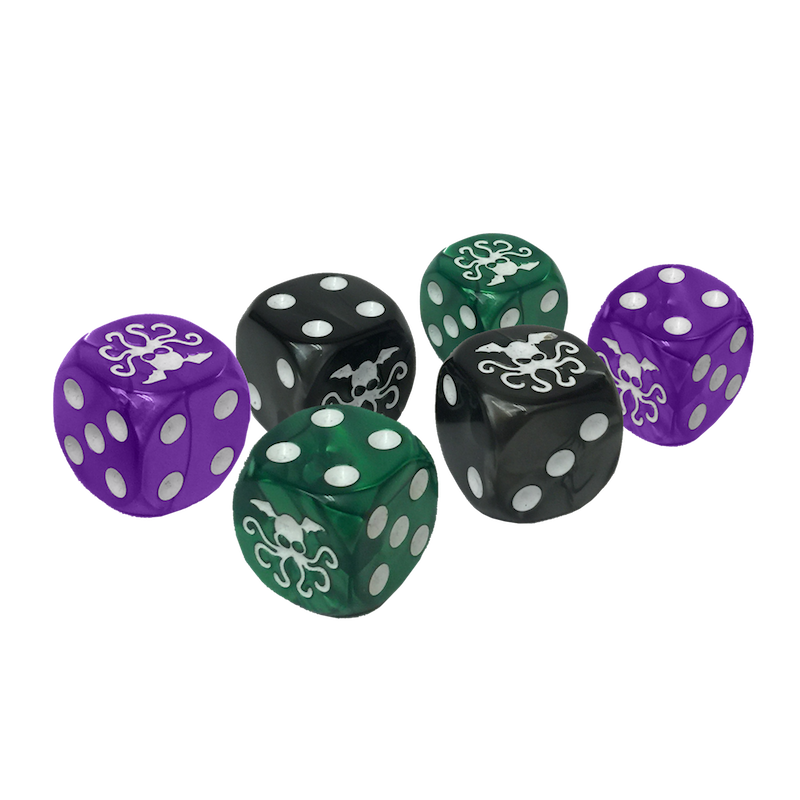 These beautiful 19mm dice feature a pearlized finish, white pips, and the Cthulhu icon in place of the one pip. 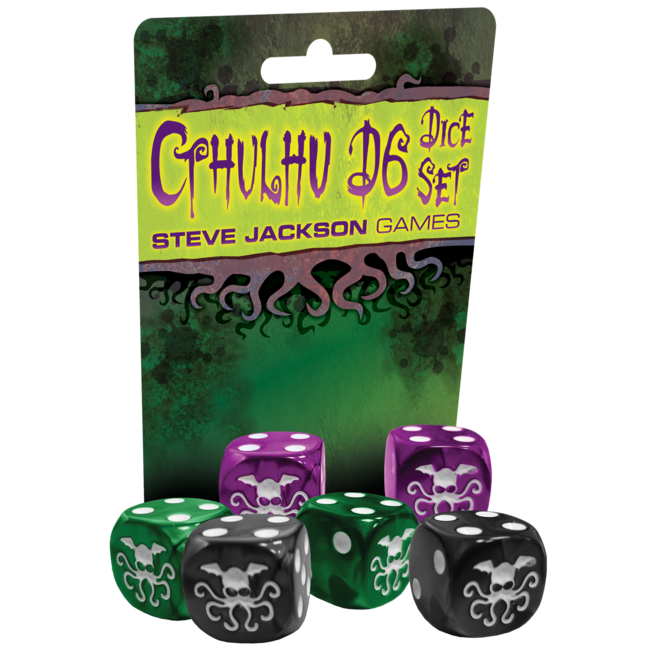 This set contains two purple, two green and two black dice. 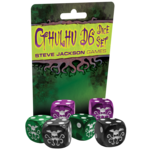 They can be used to add eldritch horror to all your games! Bring the heat to your game with Bullet Dice!